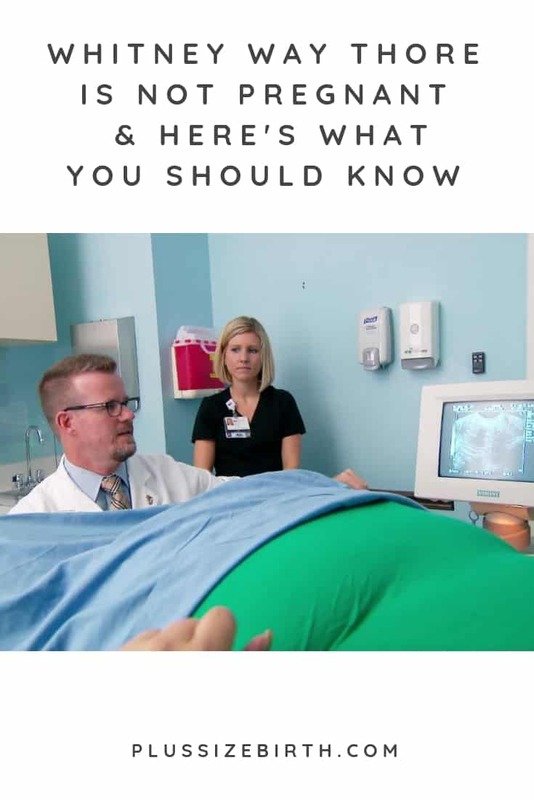 If you follow the TLC reality show My Big Fat Fabulous Life, you now know that Whitney Way Thore is not pregnant after watching tonight’s episode. They’ve drawn out this storyline for three weeks leaving viewers wondering is Whitney really pregnant? The thing is, when it’s on TV, it’s easy to forget that this is actually someone’s life. I think it’s safe to say that if you’ve ever taken a pregnancy test, you did so without a camera crew filming you. Am I right? Then you got to sit there for that awkward minute or so either praying for a positive or a negative outcome… by yourself. You probably told the results to so few people you could count them on one hand. You got to sit with the news and process through your emotions…be it joy or shock (or maybe a bit of both)… without a million people watching you. Whitney didn’t get that privilege of privacy and now, many of her fans have turned their backs on her as we have learned that the infamous Whitney Way Thore is not pregnant. Sure, we could argue that she willingly signed up for this TV reality show gig. She has made the choice to live in the spotlight if you will, and judgment from others is part of the deal. Yet, again, Whitney, who is a real live person, really experienced this. Two weeks ago I wrote the article, Whitney Way Thore is Pregnant & Here’s What She Can Expect, thrilled that another plus size public figure was pregnant. After covering Tess Holliday’s pregnancy on my blog, I saw the impact of a celebrity talking openly about the struggles of being plus size and pregnant. I saw how people in that position help to normalize plus size pregnancy. And I know how important that truly is. I was so happy knowing how Whitney’s story would bring hope to many women struggling with Polycystic Ovary Syndrome (PCOS). Whitney has been very open about her own struggles with PCOS and it can cause infertility. Tonight, as the show aired, Whitney posted the image below on her Facebook page to share that she is not pregnant. Whitney also had this to share via TLC’s blog. In the doctor’s office I was prepared for my life to change forever, and when the nurse came back and told me the test was positive, in that moment I became something I’d never been before in my life: a mother. It was real and I was overwhelmed, but I knew no matter how scary (and unplanned) this journey would be, I was ready to take it. All of that got turned on its head literally moments later when the ultrasound showed that there was no baby. A part of me felt relieved, but to my surprise, the biggest part of me felt disappointed. 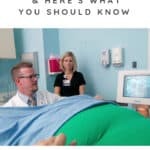 The unknown is something women with PCOS face often; so much about PCOS remains unclear and debatable, from the diagnostic criteria, to the causes, to the still yet-to-be-found cure. What DOES matter to me is hope for my body, hope for my “cysterhood,” and hope for the future. I have to remind myself that millions of women around the world live full lives with PCOS every day and they do it with children, too. I know when the time is right, motherhood will happen for me, and honestly, I can’t wait. PCOS impacts hormones, fertility, causes weight gain and so much more. Below you’ll read about real-life experiences from women who have PCOS and how it impacts their lives. Some girls grow up wanting to be a doctor or a teacher, I wanted to be a mom. I have spent most of my womanhood thinking of my uterus and ovaries. At 14 I was told not to worry about it that medicine was advancing and it wouldn’t be a problem. If I only knew what was ahead of me cycle after cycle, month after month, loss after loss and finally giving birth to a beautiful daughter and thinking this is it. She’s my only child. Accepting that and learning to love my new landscape. I spent the next two years just me and her against the world. Miraculously. Unexplainably. I found out I was pregnant again and my amazing son entered our lives and he was like a summer thunderstorm. Completely unexpected but so very needed. He taught me not to give up on my dreams of a big family. Three years of trying and I found out again that we are expecting in September. 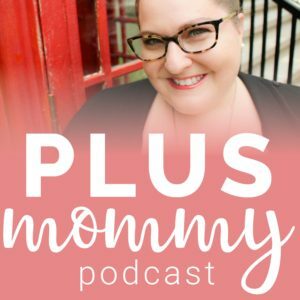 Whitney – whatever you’re going through, know that the Plus Mommy community is behind you and beside you on your journey! I am so sorry that Whitney has had to endure this intense rollercoaster ride with the extra scrutiny of the trolls online. I know PCOS is so hard to live with. I wish nothing but love and light to Whitney and her family. Ditto! Thanks for sharing Chrystal! !